New year, new start. It’s It’s January and it’s that special time of year again. Yes, we just had all the thankfulness of Thanksgiving and all the joy of Christmas and all the cheer of New Year’s Eve! Those are all fantastic, but I’m referring to another special time. It’s New Year’s resolution time! You know the time. It’s when people the world over decide to improve themselves and change their lives. Eating better, exercising more, being a nicer person. These are just some of the noble and worthwhile notions people have when the calendar pages turn to a new year. I think it’s a great thing…why not try to make ourselves better? If the calendar turning 1/1 is the way to get people motivated, then all the better!! This year, my entire family made a big resolution. We want 2019 to be our most organized and efficient year ever! There’s a lot to be done, but I think we have a plan and some pretty great tools. Let me tell you about it! We have so much going on with school, work, social engagements, and whatever else that we felt we really needed to get it under control. The days just fly by and so many times we feel like we are running around like chickens without heads. Thankfully everyone was on board (maybe not Caleb, but he’s 5, so…) with the notion that we need to get serious about some organization. So the list is pretty simple, but it will be effective. At this point, we tried to figure out what tools were at our disposal to get these jobs done…and done well. When we knew we wanted to do this, we also knew we were going to enlist the help of Amazon Alexa. We are Amazon Alexa people and we love using the devices that have Alexa built in. From Amazon Echos to Echo Dots to speakers, TVs, Echo Show, Amazon Fire Sticks, and sound bars with Alexa built-in, we just love the tech and we love the all the it offers. It’s also really convenient and works seamlessly with our busy lives, all at a fantastic price point. You literally can’t be the value you get with Amazon devices. While we love all of he device, our current favorite has to be the outstanding new Echo Dot Kids Edition!!! We love it and that’s why I’m so happy to partner up with Amazon on this! Help the whole family stay on top of their to-dos through reminders and lists. 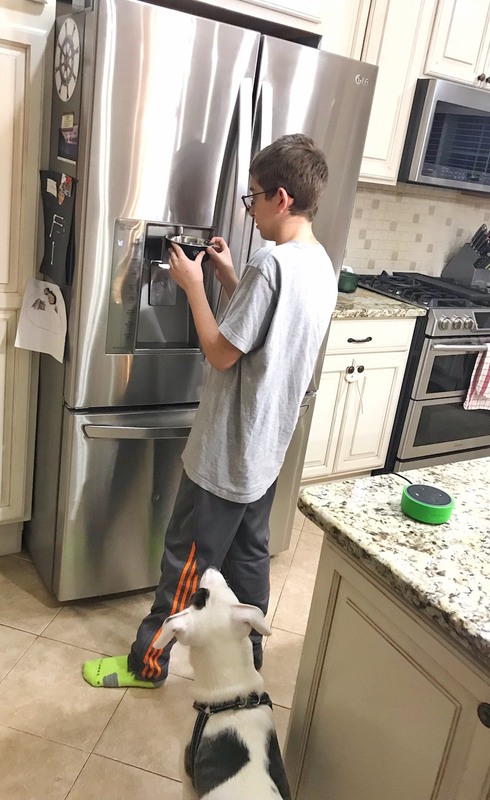 Ask Alexa to remind you to feed the dog twice a day, create a chore to-do list or set a tooth brushing timer to make sure you don’t miss a thing. This is so important as my kids seem to need reminders for, well, everything. Walk the dog, do your homework, when is that next post due, when is the plumber coming? It’s all there and it’s all easy. So easy. Trying to stay on top of all of your tasks this year? Ask Alexa to remind you so you don’t miss out on a thing. Set repeating reminders for important tasks like taking out the garbage every Tuesday, taking your vitamins every morning and more. This is so key for me (and everyone else). It’s like having a fancy personal assistant telling you what to do and where to be. It’s just a lot more private and a whole lot less expensive. Create and organize lists to capture everyday ideas, plans and tasks. 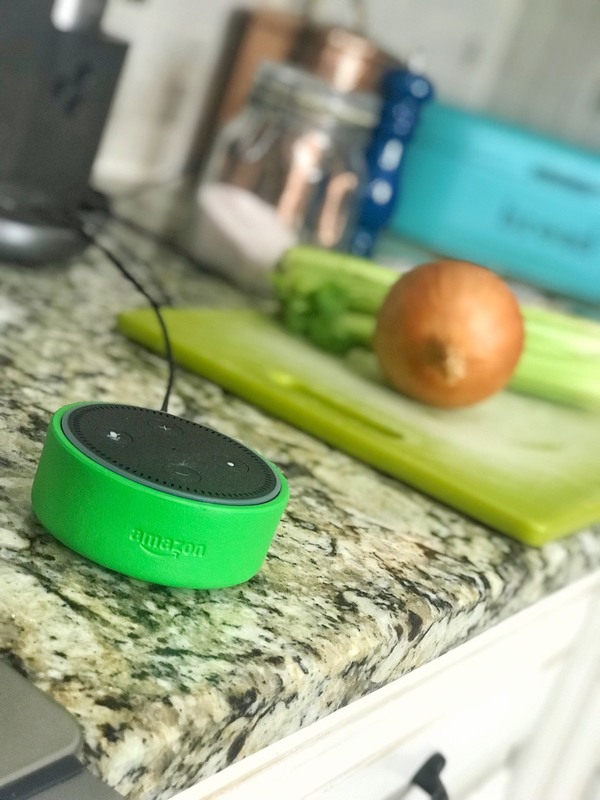 All we have to do is say “Alexa, create a list” – and we can make a shopping list, a to-do list, a dog walking and feeding list, a list for sports or clubs, and more. Every list you create with Alexa is stored within the Alexa companion app in case you need to reference if on the go. You can also sync your list and calendars with supported list skills including any.do, Cozi, Picniic and AnyList. Awesome. I love that we can instantly make updates to our new family calendar with your voice (before I forget!). All we have to do it ask Alexa to add an event to the calendar! Plus, you can even send an invite to another person via Alexa too! Just say “Alexa, what’s my schedule for today?” It’s so simple, there’s no excuse to not include everything…and then never miss anything!! 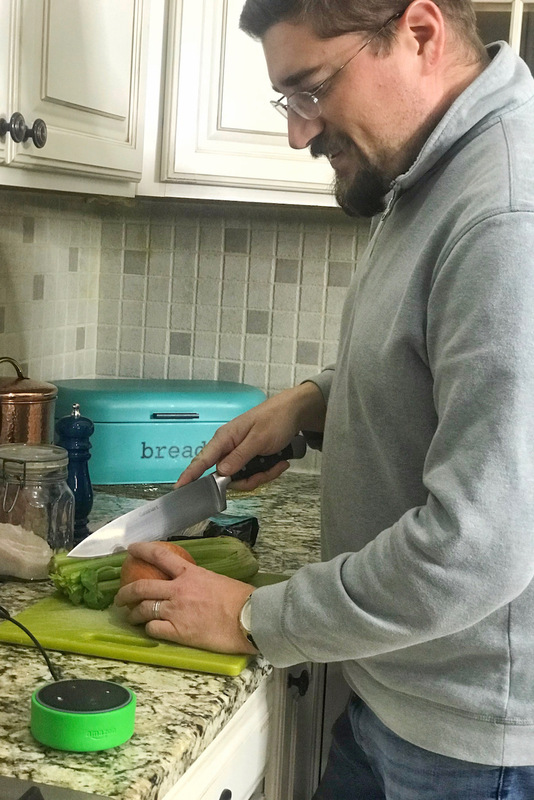 If you read my blog and social, you know that my family and I love tech, especially smart home tech in particular. When it comes to smart home tech, is there anything more impressive than Amazon Alexa and it’s astounding kids and far reach? While I do love how great the internet makes life and how much easier everything seems to be, there is always a concern with what my kids have access to when they are on the internet. From crazy websites and videos to social media mayhem, there’s a lot to think about. I’m always looking for new and innovate ways to put my mind at ease. Dun, dun, dun, dah… Echo Dot Kids Edition and Fire HD 8 Kids Edition tablets to the rescue!! Echo & Alexa are awesome for everyone in the family in so many ways, but I love them even more when it’s tailored for kids eyes and ears! Echo Dot Kids Edition is built from the ground up for kids. This kid-friendly, kid-centric Alexa experience sports some impressive parental controls with a parent dashboard, so I don’t have to worry about my kids using it when I’m not around. I almost can’t put a price on that level of comfort. As much as I thought I knew about Alexa, there’s just so much to know. 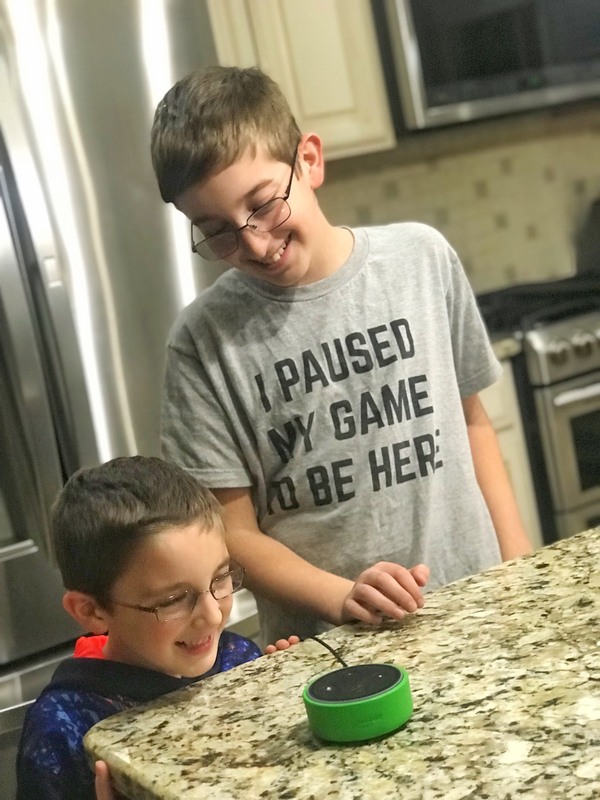 Prime example: when I started enjoying the Echo Dot Kids Edition with my family, I discovered the wonder and awesomeness of Amazon FreeTime on Alexa! Have you heard about this? It’s awesome, and the kids are so into it. Let me explain. Similar to the Fire Kids Edition tablets, Echo Dot Kids Edition comes with a device—an Echo Dot, plus a whole year of FreeTime Unlimited, a kid-friendly case, and our 2-year worry-free guarantee. Echo Dot Kids Edition also includes the best parental controls with FreeTime on Alexa. What does that mean? Parents select which services and skills kids can use, turn off voice purchasing, and more. It just let’s you decide what your kids can and cannot access via Alexa. Less access, less worry, right? 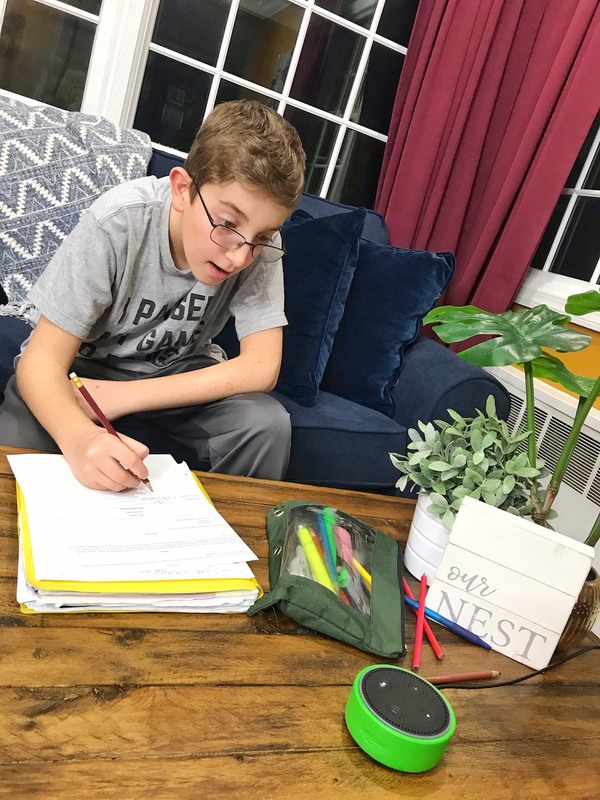 Families can also really stimulate learning with Alexa by using FreeTime and FreeTime Unlimited skills such as Name That Animal, Magic Word, Spell Speak, Amazon Math and more!! These are awesome and a lot of fun to use. All you have to do is visit the FreeTime on Alexa featured skills page. Check out the Alexa Skills Store for hundreds of more awesome skills focused specifically on children’s education. It’s so easy and there’s so many options, your kids are bound to love a bunch of them. FreeTime Unlimited on Alexa includes over 1000 kid-friendly Audible books, kid-friendly, ad-free radio stations and playlists, character alarms, and premium Alexa skills that kids will love. Think Beauty and the Beast, Peter Pan, Nate the Great, and more!! I honestly don’t know how we ever managed before Alexa. I swear, she’s the first thing we greet when we walk in the door lol. That’s great that they now have Alexa just for kids. I think the Free Time sounds amazing! After I watched the Marie Kondo Netflix show, I was super inspired to get organized too. I started by getting rid of unnecessary things at home… so far, I have bags full! I’ll use your experience and tips for the next steps! My ex boyfriend needed that shirt: I paused my game to be here. Funny, but yes I need Amazon Alexa in my own home. Great read! I never really thought about the shared calendar, it sure makes sense! Regarding the online interactions, I hope someday soon we can find the perfect balance.